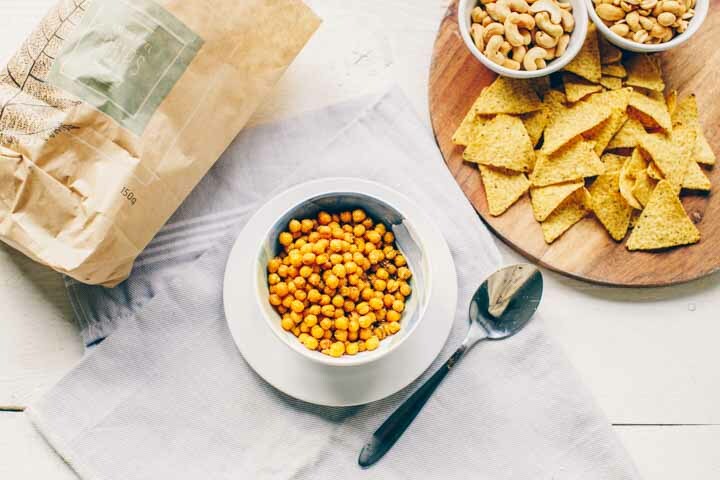 Here's our collection of fun and easy chickpea snack recipes. All the chickpea snack recipes have step-by-step instructions. We hope you love them as much as we do! Roasted chickpeas with a great spice mix are one great snack. You only need to know the right balance of flavors and I guarantee you that you will make this every time you like to eat a snack. Ready to learn how you can make spicy roasted chickpeas? Lets get started!